It is now widely known that Russia’s royal family; the Romanovs were executed by the Bolsheviks in 1918. Just after the event, however, with a confusing mix of stories of the family’s fate hitting the news, many ‘pretenders’ or imposters came forward claiming to be part of the Romanov family, stating that they had survived the horrific attack. Pretenders are always interesting to read about, and sometimes their stories are extremely believable even today when we can now disprove many of the claims with DNA evidence. It is easy to see how people hearing these claims over a century ago would have found them believable when many of the details about what really happened to the family were unknown by the wider public. Maybe people were clinging to the false hope that some of the family had survived or maybe the stories of the pretenders just made for interesting gossip, either way, the tales always caused a media storm. On the night of the 17th July 1918, the Tsar and Tsarina of Russia, their five children and their serving staff were brutally murdered. After the event, the press was often fed a confusing mixture of information on what had happened to the family. At one time it was believed that Tsarina Alexandrina and her son Alexei were still alive, at another time it was claimed that the family had been murdered by revolutionaries. In 1922, it was even claimed by the Soviet leaders that the family were all alive but were in captivity. This confusion over the fate of the family offered a perfect opportunity for pretenders to emerge. There are far too many Romanov pretenders to be able to look at them all, but we can have a look into some of the most well-known ones. In this article, we will have a look at the most impersonated Romanov, the Grand Duchess Anastasia Nikolaevna of Russia who was seventeen years old when her family were killed. Her story has provided the inspiration for countless books, plays and films and is widely known in popular culture. 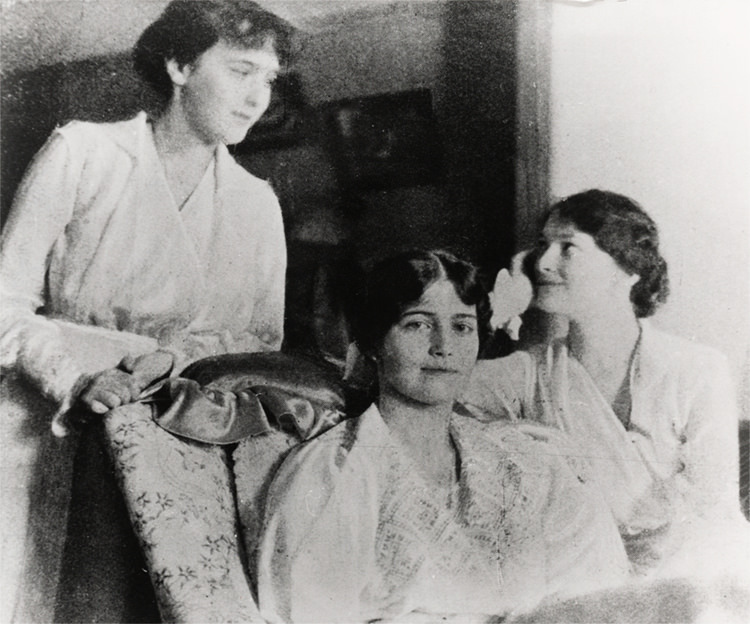 The most well known Anastasia impersonators were Anna Anderson and Eugenia Smith. Anna Anderson has been known by multiple names; her story begins with her living in a mental hospital in Berlin, after reportedly attempting to take her own life. At the time she was only known as ‘Fräulein Unbekannt’ which means Miss unknown. 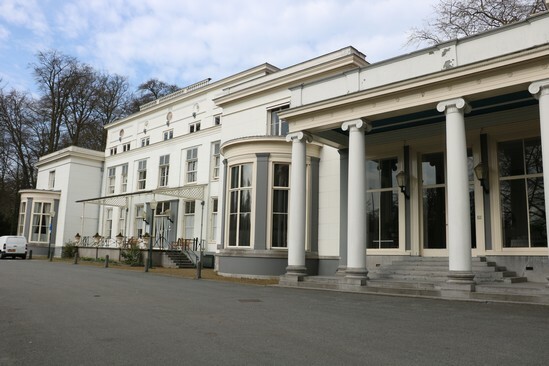 One of the many supposed stories of Anna’s past is that one day in the institution; another patient saw her and believed that she was one of the Russian Grand Duchesses. Anna then agreed to this and began telling people that she was, in fact, the youngest of the Romanov daughters. Of course, this is only one side of the story; the other tale is that Anna really was the Grand Duchess and had played dead when all of her family were executed and later escaped with the help of the soldier. She apparently headed to Berlin to seek out relatives but ended up suicidal at the thought of family not recognising her, and she threw herself into a canal which led to her being institutionalised. It was easy for many to laugh off Anna’s claims; she was an unknown, mentally ill woman in the 1920s so clearly not many people would have taken her seriously. However, Anna began to spill little bits of information which only the true Grand Duchess could have known. Anna told of how she and her sisters sewed jewels into their clothing, and this stopped the bullets from killing her. She then said that the soldiers had used bayonets on those who had survived the shootings; these details matched up with other accounts of the event. Anna even had the backing of courtiers who said that they knew her as the true Anastasia; her supporters included the daughter of Rasputin, childhood friends and a cousin. She even spoke to a court doctor’s son about drawings of animals that he had given to her in the past. It is hard to imagine her being able to attain such support and information if she were not telling the truth. Not everybody supported Anna’s claims, however, and some investigated her background. Pierre Gilliard the tutor of the Russian court said that Anna was a liar. 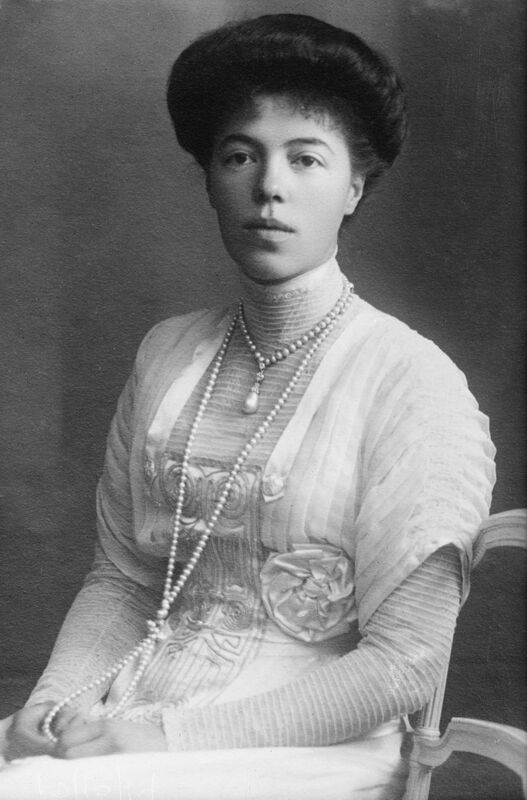 The Grand Duke of Hesse (uncle of the real Romanov children) went as far as hiring private investigators who apparently found out that Anna was really a Polish factory worker named Franziska Schanzkowska. Following on from this was a court case which lasted for years; the outcome of this was that Anna could not find a way of proving she was Anastasia. Disputing this, however, a handwriting expert said that Anna and Anastasia had the exact same handwriting. A doctor also examined images of the two and said their features were identical; on top of this Anna had the same deformity to her foot as Anastasia did and was covered in scars which could have been from the attack on the family. Despite the courts stating that there was no proof that Anna was Anastasia, she continued to receive media attention due to others backing her claim. 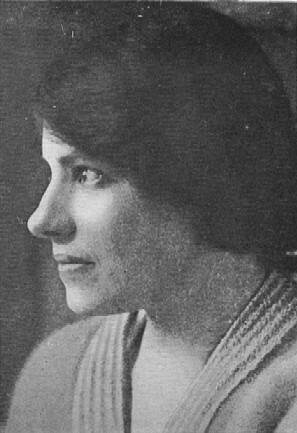 She was given access to housing, money and health care throughout her life and never gave up her claim to be Anastasia despite marrying and moving to the USA. Anderson died in 1984 of pneumonia while living in filthy conditions. It was not until 2007 that a body was discovered which was believed to be the real Anastasia. DNA samples of Anna’s hair were tested, and it was decided that she was not a Romanov after all. However, to this day her claims are still supported by many people who believe a variety of things such as the hair sample was in fact from Anna’s husband or that the results were doctored. Despite the DNA evidence pointing to it being highly unlikely that Anna was the true Anastasia, I think there will always be a feeling of uncertainty over the identity of Anna Anderson. Eugenia Smith is the other famous impersonator of Grand Duchess Anastasia. Eugenia’s story is a little more unusual, however, as she did not claim to be Anastasia until 1963! Ukrainian Eugenia was born Eugenia Drabek Smetisko. She was a writer and artist who moved to the USA in 1929. Her tale begins with a trip to a Chicago publishing office in 1963 where Eugenia handed over a book which supposedly contained a manuscript written by Anastasia who had passed the transcript on to her. After so many false claims had emerged of people claiming to be Anastasia, the publishing house was sceptical and asked Eugenia to take a lie detector test. She failed the test but then quickly said she had lied and she was actually the Grand Duchess Anastasia herself! Another lie detector test was carried out, and Eugenia passed this. It was thought that maybe she really was Anastasia but had not initially wanted the attention so decided to pretend to be somebody else to publish the memoirs. The autobiography ‘Anastasia: HIH Anastasia Nicholaevna of Russia’ was swiftly released, it was filled with tales of her upbringing in Russia and of how she escaped death at the hand of the Bolsheviks. 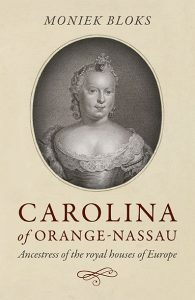 After her book was published, Eugenia began using Anastasia’s date of birth and became famous in the New York party scene. Unlike with Anna Anderson’s claims, however, doctors and handwriting experts did not support Eugenia’s claims and remaining cousins and friends of the Romanovs did not believe her to be the true Anastasia either. Eugenia continued her claim throughout her life, but in her old age she stopped discussing her story and refused to have DNA testing carried out during her lifetime which makes little sense for a woman trying to prove who she was. She died aged 95 in 1997, and her obituaries often used Anastasia’s date of birth, though she was buried under the name of Evgenia Smetisko. Anna Anderson and Eugenia Smith were the most famous Anastasia pretenders, but were not the only ones as there were around ten in total (one of them even went to Russia to claim her fortune!) All claims have since been disproved by DNA evidence.